SEO seems to be one of the most confusing things for small business owners. There is a lot of bad information out there and a lot of out dated information about SEO. Marketing your website take time and consistency. If you are a small business owner you need to ask yourself how much your time is worth trying to figure out how to working your marketing the right way. Concentrating on your business and hiring a profession is often the most cost effective way. It is very important to find an honest local company. Hiring a large company can usually end up your name just being a customer ID number. It’s hard to get that individualized attention you need. When I sit down to consult with a business owner there are a number of questions I ask just to understand how their business works. I always try to flush out their goals and help the business owner understand those goals better than they did before we spoke. I am often told that I help them think about their business in ways they never had before in regards to marketing themselves. 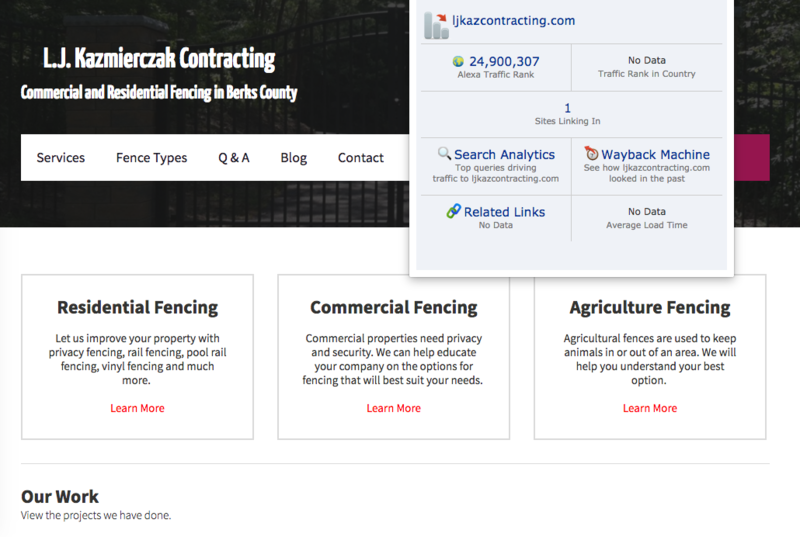 Chester county has a lot of top end business and some of them are fighting for their space on that first page of google. This happens when you have an over saturated area with businesses that are in the same area. This makes it very important for a business to stay on top of their SEO, Social Media, and website. Most websites these days are built in WordPress. Part of the reason is that it is an open source format. One of my favorite thing about this is the endless options of with plugins being made and developed for everyone to use. A coder starts making a website and need a short cut so they end up making a plugin for it. The big magic with WordPress is the blog functionality with building your websites SEO especially implementing the use of your website blog. Red Bearded Marketing will help you build your online presence. Call us today for a free consultation. We can take your Chester County based website and turning it into a useful tool for bringing in new clients as well as market to your current clients. The best in interior design on the mainline is one of my greatest clients. The Blind Gallery has been in business for over 5 years in downtown Wayne PA. They work closely with clients to understand their needs to develop an accurate free estimate for their home or office. They even help with planning for and sticking to your budget for each project. They are the premier Hunter Douglas Showroom in the Philadelphia area. I first revamped their site when I worked as an agent at 1&1. They needed someone new not only to handle their site but also their Social Media Marketing. I recently converted their website to WordPress to help take their company to a new marketing level. They provide a number of different options for your windows. Shutters, blinds, shades, interior designs, draperies, toppers and more. Many of my clients have used them for their home decorating and are more than happy.